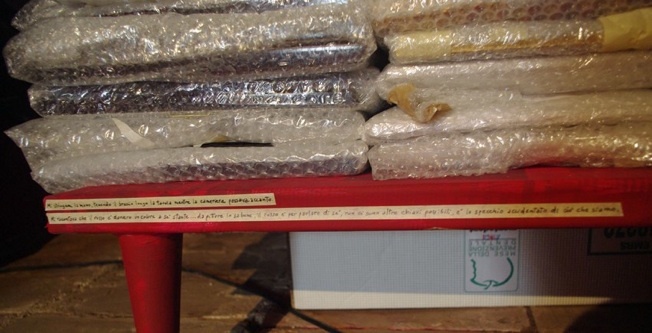 July 5, 2014 / Site-Specific Installation, collective exhibition: “Perfect Number”, Casa Sponge – Pergola (Pesaro), Italy. 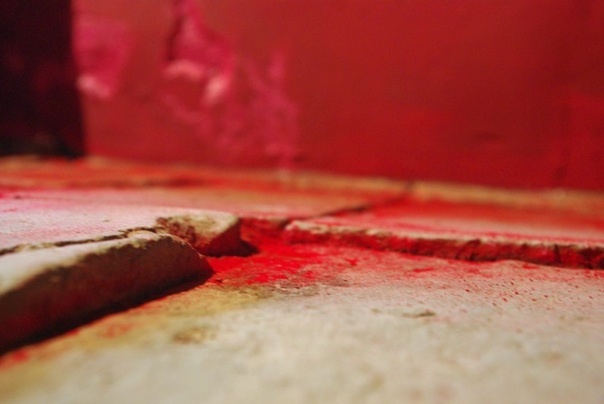 I have been asked to intervene in Casa Sponge’s attic – in a show curated by Alessandra Baldoni – which is a red room in a country house currently used as both living place and exhibition space. 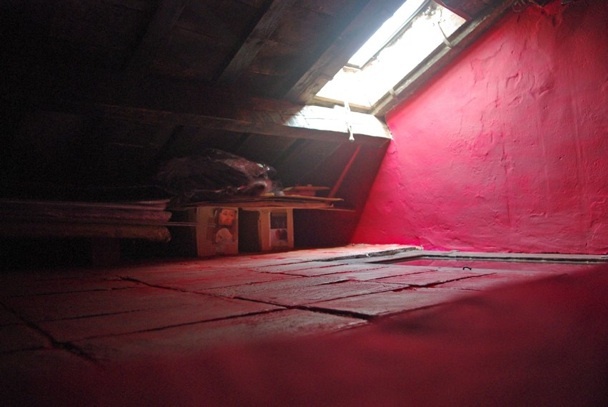 The attic is used by the artist owner as an intimate and personal place to keep and show his work to shoeless visitors. 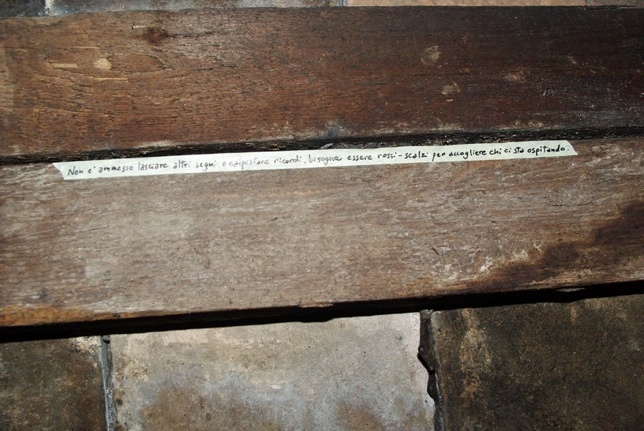 I wrote the “skin” of the attic by sticking 15 pieces of my writings in hidden corners, between beams and stones. I wrote regarding the concept of “red”, exploring it in poetic and sensorial terms. 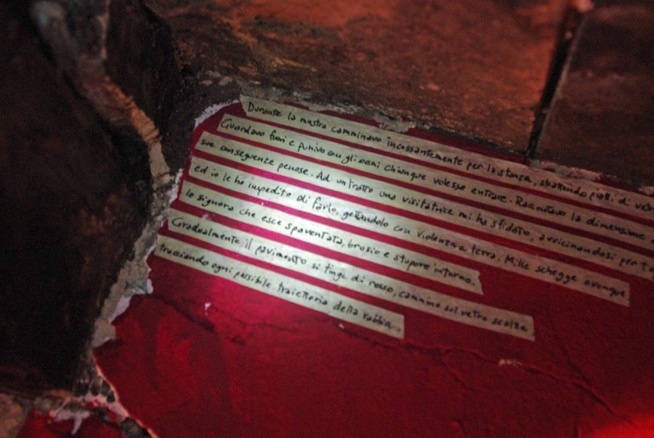 In each piece were recurrent the words “red”, “feet” and “walking”. 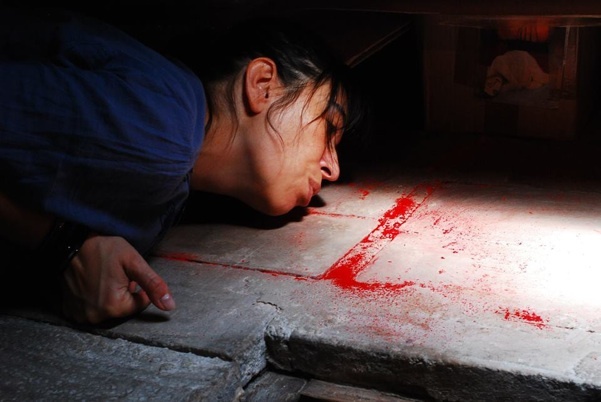 I then blew red pigment on the floor so that the visitors could bring away – consciously or not – some colour stuck on their skin at the end of their experience. 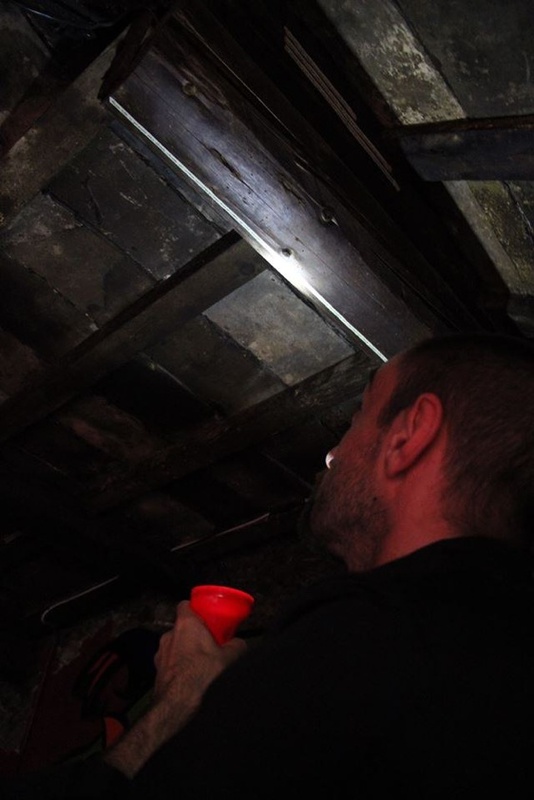 Each visitor was provided with a flashlight to explore the darkness of the attic without any time constrain.